The City of Santa Clarita is a business-friendly community, attracting companies from around the world by offering small businesses, large corporations and everything in between, amenities that are hard to find elsewhere. 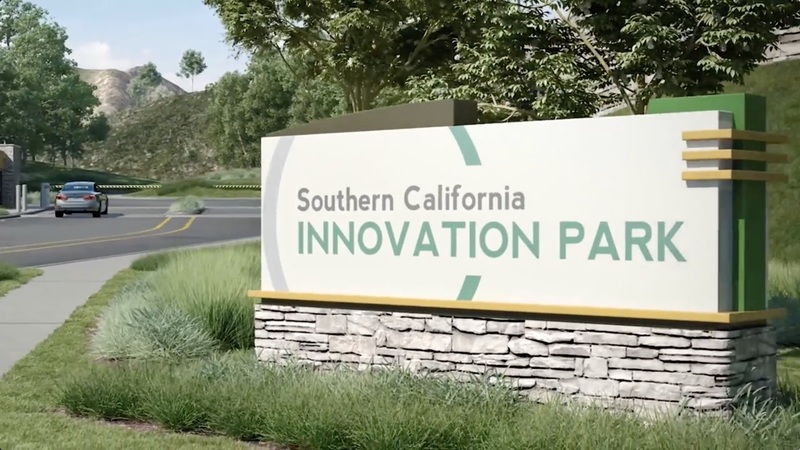 The latest entry in the Santa Clarita Business Minute video series features Southern California Innovation Park, a master-planned business park consisting of businesses in the technology, entertainment, biomedical and aerospace industries. Formerly known as Mann Biomedical Park, Southern California Innovation Park sits on approximately 160 acres and currently has 612,000 square feet of commercial space where the Rye Canyon Loop meets Kelly Johnson Parkway in Valencia. It is one of many master-planned business parks in the City and offers desirable office, manufacturing and innovation spaces for businesses. Southern California Innovation Park is primed to experience growth in the coming years, with plans in place to finish building out the approximately 900,000 square feet of space still available. The business park is being developed by Intertex Companies and Oak Tree Capital Management, L.P.
Viewers of the latest edition of the Santa Clarita Business Minute will get a look at current features of the park and learn more about plans for growth in the future.